For every crab fishing adventure, there are surely a few tools that are completely necessary. 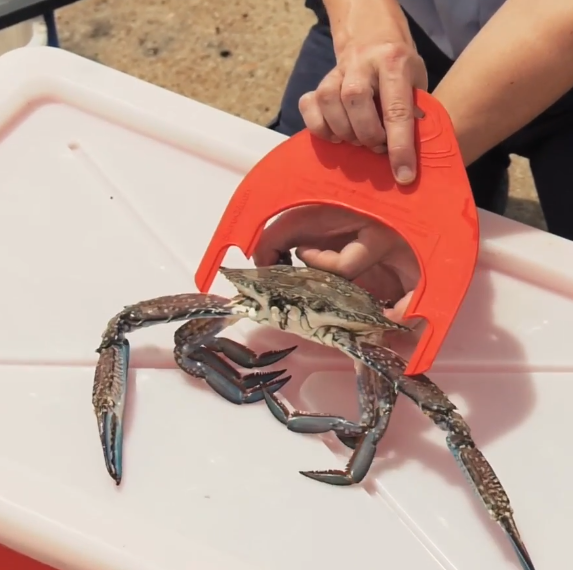 Let’s see what you should bring on your next crabbing excursion. As a crab catching machine, you should obey by the rules and regulations set in your state or region. A common rule between all fishing and wildlife departments dictates what kind of catch you can keep. For instance, can you keep females? What about molting crabs? The one common rule between all states is related to the size of the crab. That is why you need a ruler. If the crab is too small, you cannot keep it. This is to prevent overfishing of the young crabs so that they can breed and lead a productive, career-oriented life. But seriously, don’t keep the younglings. Depending on the state, the size of the crab can be measured from tip-to-tip of the spikes on their carapace or straight line across the back immediately in front of, but not including the points. A large bucket is necessary to store your crabs that you’ve caught. This is pretty self-explanatory but a sturdy, polyethylene 5 gallon bucket should work wonders. You can actually get these for free by simply asking local, small fast food burger restaurants. 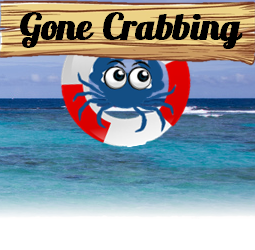 Following this article here to get a free crabbing bucket! No matter what type of method you are using for crabbing, whether it be using a crab pot or fishing rod and snare, you will need some sort of line to attach your bait and a “link” from you to the crab. 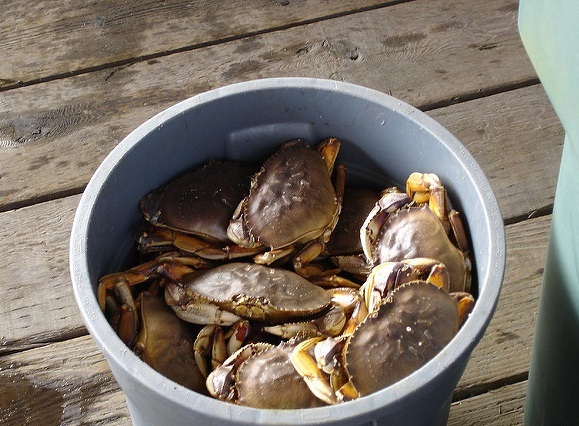 Usually, the line will connect to the crab pot or directly on the bait itself like in the line and net method. For fishing line, you can use monofilament 10-20 pound line. For the rope that you tie to buoys and crab pots, use leaded rope to prevent from snaring on boat propellers. To make it easier for your hands, coated fishing gloves are recommended for handling crabs and for handling the line that you will drop or reel in. Like fishing, crabbing success can be a hit or miss depending on the type of location you are in, the time of day/year, and just plain luck. Try out a few locations and see which ones work the best. Ask local fisherman for good locations. You can go a whole day without any catches. Be patient and you will be rewarded. With the exception of patience, you can find all of these tools and more at the CrabbingHq store. Check it out!